MILLEDGEVILLE, Ga. – Andalusia Farm continues its drop-in all-O’Connor book group on the last Thursday of every month, 10:30 a.m.-11:30 a.m.Refreshments are provided and there is plenty of seating. The 500+ acre former dairy farm on U.S. 441, four miles north of downtown Milledgeville, is where Flannery O’Connor wrote most of the work that established her as one of the world’s foremost 20th Century writers. Long time FOCA Board member Mary Barbara Tate was in a book club with Flannery O’Connor that met at the farm (you can read more of Mary Barbara’s recollections of Flannery and the group in “At Home with Flannery O’Connor: An Oral History” ed. Bruce Gentry and Craig Amason, 2012, The Flannery O’Connor-Andalusia Foundation). Mary Barbara continued the book group through her church and for many years ardent Flannery readers met monthly at Andalusia for a discussion facilitated by Bruce Gentry. In 2016, the role of organizing the group was assumed by Andalusia as a drop-in program open to anyone interested in discussion about the short story selection of the month. The group meets at Andalusia on last Thursdays, 10:30-11:30am, and Georgia College Professor and O’Connor expert Bruce Gentry continues to facilitate the conversation; Daniel Wilkinson (DW) fills in May, June and July. 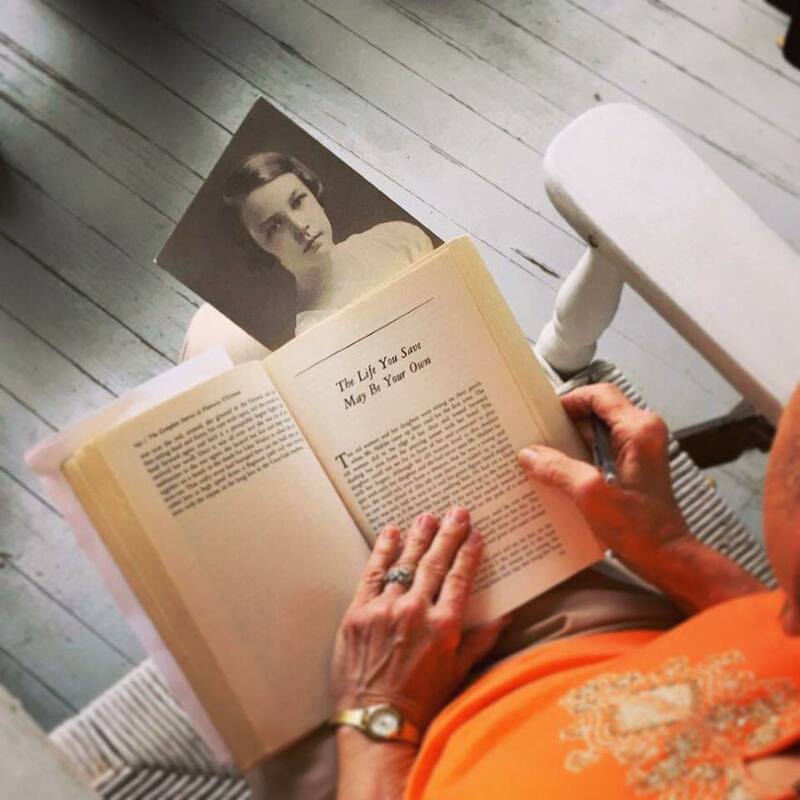 The program takes place during the weekday and is a perfect opportunity for retirees, students, and travelers to be introduced to the author’s work and to the place where O’Connor lived with her mother from 1951 until her death in 1964 at age 39. It is also an opportunity to tour the house, shop in the Andalusia store, visit with our peafowl, and generally enjoy the property. A mile-long nature trail loops through the woods along the Tobler Creek and there is indoor and outdoor seating. Small groups and families are welcome, as are picnics, and leashed pets. Multiple volumes of O’Connor’s books are scattered about for visitors to read a short story in the place it was written; short stories generally take 30 minutes to read. There is free admission to Andalusia Farm, although visitors are encouraged to make a $10 voluntary contribution and donations large and small are always welcome. All photos courtesy Andalusia Farm unless otherwise indicated.